Recent efforts to officiate the network are making it an even more attractive destination for marketers. 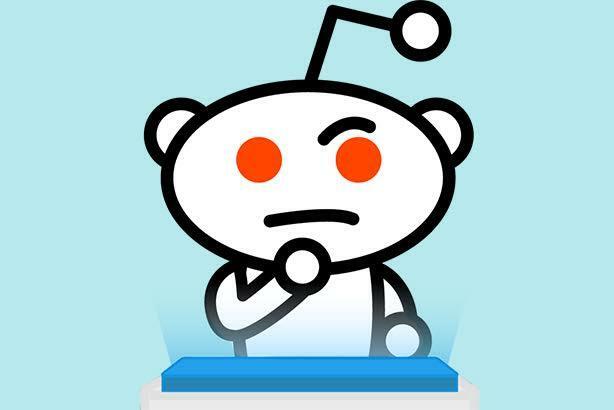 NEW YORK: Reddit may mean many things to many people, but most who know it would acknowledge it is an overwhelming cauldron of free speech and unfettered commentary on society. Reddit's most ardent supporters and active users probably consider this to be why it's so valuable. With so many other areas on the internet that play it safe, Reddit gives voice to many groups, good and bad. In other words, Reddit is the unfettered soul of the internet. It is the foundation upon which the web's most diverse, divisive, and vibrant communities are built. It also ranks among the chief sources or propagators of the most popular memes and has been notoriously anti-marketing throughout its 11 years of existence. At its core, Reddit is an overarching community of hundreds of thousands of smaller communities called subreddits. With 867,374 subreddits, and hundreds more added daily, there's a reddit for almost everything. Things as broad as gaming, business, movies, and things as obscure as Photoshop battles, philately, and sleeping animals. Advertising and sponsored posts have existed on Reddit for years, but the network's 234 million unique users are known for their adverse reaction to brands, which ranges from cold indifference to outright vitriol. Viable participation options aside, Reddit has always been a network that marketers should watch, and with the company's recent strides toward strengthening and growing its massive brand, the time has come for marketers to have an updated peek at what's what on the front page of the internet. Like many other social networks built upon the labor of its users, Reddit has always had to tread carefully in how it "grows up" or makes itself more available to marketing. Doubly so, when you consider that Reddit's sole purpose is providing opinionated people with a mechanism for speech. So, if Reddit messes up, Reddit hears about it…a lot…on Reddit. Consolidating its multiple mobile iterations into a single, redesigning mobile site. Launching an official mobile app; previously the only Reddit apps were unofficial, third-party ones. Adding embedding functionality to its posts. Launching its own image-hosting service to replace, or at least compete with Imgur, an image- and gif-sharing network that has functioned as a go-to for posting photo links on Reddit. With these efforts to fortify its digital presence, Reddit will likely become a much more attractive venue for social media marketing. Pitfalls aside, there are some simple things marketers can do on Reddit. As stated, traditional advertising on Reddit isn't so different than anywhere else on the social web. Marketers can sponsor and promote-post across relevant subreddits. Those with more modest budgets can explore Reddit's full advertising offerings. To note, with more than 8 billion monthly page views, Reddit is the ninth-largest site on the web, according to its advertising page. Naturally, advertising on such a large website comes at a rather excessive premium. From the outset, Reddit requires its large-scale advertisers to come laced with at least $30,000 quarterly spend, though a self-serve option exists for brands with smaller budgets to promote posts. For large brands such as Android, McDonalds, or Nike, the subreddit structure serves as a way to centralize conversation around a brand. These subreddits can contain hundreds of thousands of users, with some of the default subs boasting subscriber counts in excess of 10 million. In the case of r/Android (r/ is url structure, and the colloquial reference for the various subreddits), 646,514 people belong to the passionate community, actively sharing and discussing the various Android products. Brands can take cues from Nike and actively moderate these subreddits as well. While a large portion of Reddit may be anti-marketing, there are a lot of subreddits dedicated to marketing subjects. These include r/advertising, r/marketing ,r/socialmedia, and r/SEM. Beyond entering the subreddits themselves, brands can get creative and consider the subreddits their customers are likely to subscribe to in their audience analysis, or persona marketing. Alternatively, marketers can participate in, or host, one of the various Ask Me Anything interviews with chosen subreddits. AMAs are perhaps Reddit's most significant contribution to the web, memes notwithstanding. AMAs are about as varied and numerous as the subreddits that contain them, with everyone from the president, various political candidates, brands, celebrities, and everyday hobbyists and professionals hosting AMA Q&A sessions. Aside from its more straightforward advertising options, AMAs are some of the most effective ways to organically engage and generate discussion on Reddit, with caveats of course. See, unlike other social networks, Reddit wholly embraces anonymity. That means any brands actively engaging Reddit's users must come prepared to face the nastiest trolls and hecklers this side of 4Chan. While volunteer moderators do their best, AMAs — especially those by brands, or highly public figures — are notorious havens for aggressively vitriolic commenters; many of whom register under new, separate accounts called "throwaways." The rules of engagement with these types aren't so different on Reddit than anywhere else, but marketers would do well not to give users a reason to troll an AMA, as Nissan famously did. In another step toward legitimization, Reddit has finally enabled embedding of its posts, meaning the unintuitive screenshot method of capturing and sharing posts in web articles has been replaced. This unlocks the bevy of user generated content that the site has all but harbored for years. Reddit has a large audience, and commands a significant portion of the web's eyeballs throughout any given month. That alone makes it an attractive advertising option, and it'll likely become more so through its recent legitimization efforts. But the real gold on Reddit lies in the communities themselves. Marketers can dig into the conversations their most passionate customers are having around their business or industry, and they can do it without spending a dime. Reddit is by no means a panacea for customer sentiment. It is, however, an excellent source of highly specific, highly engaged consumers.